One of golf's preeminent commentators with more than fifty years of experience, Ben Wright relates the wealth of experiences he's gained from writing and broadcasting about the world's greatest golfers and courses, and his take on the infamous interview that cost him his twenty-three-year career as a golf announcer with CBS Sports. 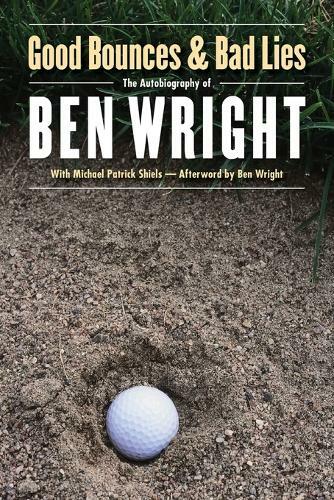 In Good Bounces and Bad Lies, Wright brings the reader into the world of professional golf-and professional golf broadcasting-depicting in equal measure the game's grace and tradition as well as its often raucous behind-the-scenes character. Wright tells of the ups and downs of his expansive career, relating dozens of funny and outrageous anecdotes along the way. Having known such greats as Ben Hogan, Arnold Palmer, Jack Nicklaus, Seve Ballesteros, Tom Watson, and many other prominent figures in the world of golf, Wright gives the true insider's perspective. Although controversial, Wright is an entertaining and engaging figure who personifies the elegance and audacity of the game of golf. This Bison Books edition features a new afterword by the author.